The bed seemed clean, nothing positive besides that. very nice flat, staff super sympatic and avalaible. The location was very convinient, but the noise coming from the clubs was pretty annoying. Location - 5 min walk form Piata Unirii, in the middle of Old Town Comfort - room was comfy, with necessary equipment: TV, AC, kitechenette. Warm, basically, guests can fell like home. Location is great. Little but nice room. Bed is comfortable for 2. Air conditioner works good. Kitchenette, frige, tv. Real hot water without limit. Nothing is broken. Good value for money. The appartment itself is really clean and tidy. This is a very central location (especially if you want to party) because it's located where all the bars and night clubs are in the old city of Bucarest. For poeple who want to party in Bucarest. If you're looking for a quiet place to stay, this is definitly not an option. Great location, right in the centre of the city. If you can't sleep in a noisy places then I would not recommend this place as you can hear very loud music coming from the nearby bars. The bed is large and spacious. The location is good to walk everywhere. 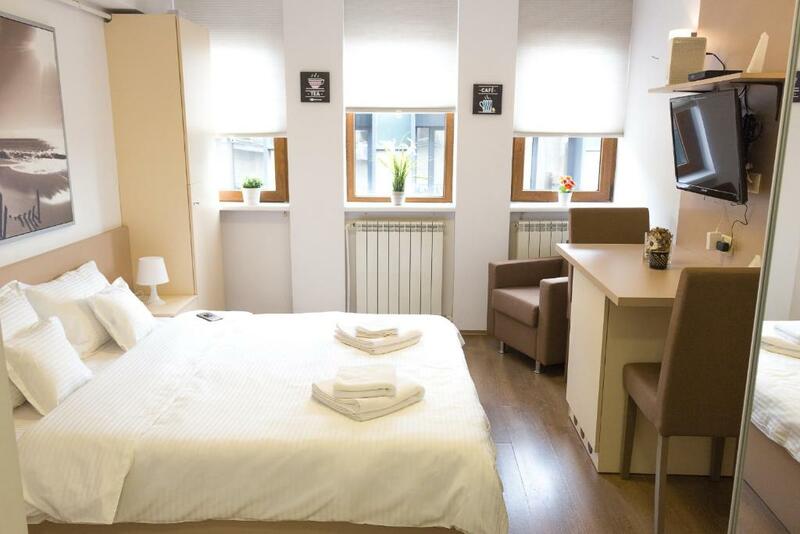 Grand Central Accommodations - Smardan is located in the heart of the Old Town of Bucharest, a short walking distance to several restaurants, pubs and clubs. This accommodations offers free WiFi. 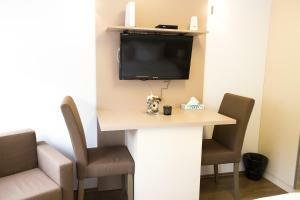 The apartment comes with a cable flat-screen TV, air-conditioning, a private bathroom with free toiletries, a dining area and a kitchenette with a fridge. 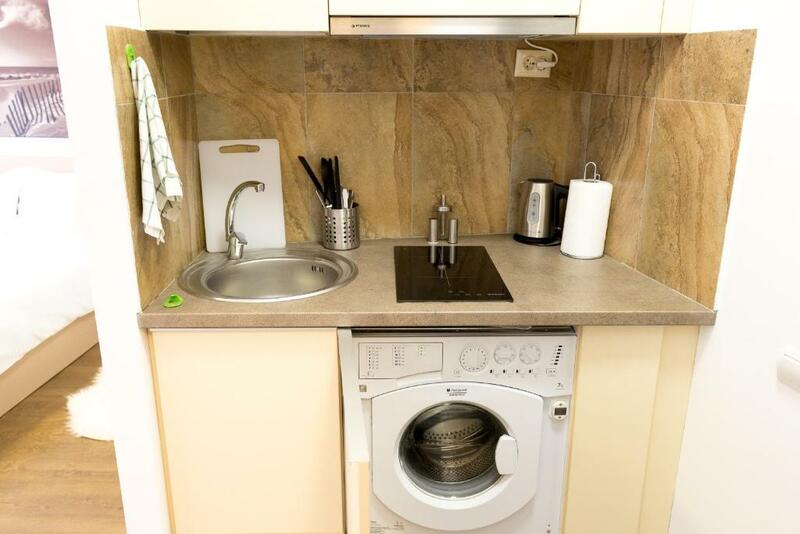 You will also be provided with towels and bed linen, a hairdryer, a washing machine and and an iron. Located in the vicinity of an array of touristic attractions, such as the National Museum of History, 350 feet from here. Cismigiu Gardens are 1.5 mi away. The nearest airport is Bucharest International Airport, 12 mi from here. 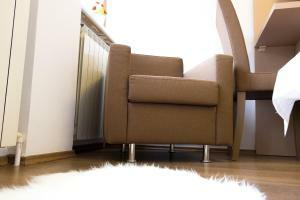 뀐 Located in the real heart of Bucharest, this property has an excellent location score of 8.5! When would you like to stay at Grand Central Accommodation - Smardan? This air-conditioned apartment comes with free WiFi, a cable flat-screen TV, as well as a kitchen including a refrigerator. 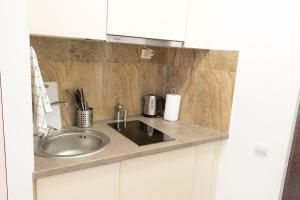 Free toiletries are provided in the private bathroom, as well as a hairdryer and a washing machine. Private parking is available at a location nearby (reservation is not needed) and costs RON 92.91 per day. 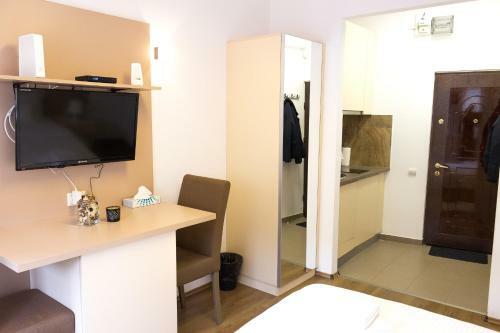 Grand Central Accommodation - Smardan is located in the heart of the Old City - in the centre of Bucharest, 2-minute walk to the best restaurants, pubs and clubs area in Bucharest. The apartment has a top position so it has access to all the main transportation: taxi, public transportation, metro, but you can also walk to the major tourist attractions and shops. We offer fully equipped - modern accommodation with free Wifi, cable flat-screen TV, air-conditioning, private bathroom with free toiletries, dining area and a kitchen, fridge, hair dryer and iron. Towels and bed linen are included. 2 minute walk to a supermarket. If you are staying at the Grand Central Accommodation for 10 nights and longer, a one-way free airport transfer is provided. If staying for 15 nights or longer, a free return airport transfer is provided. Grand Central Accommodation offers accommodation in top locations in Bucharest at minimal prices under conditions of 5 stars. Our locations are distinguished by comfort, positioning and quality of customer service. House Rules Grand Central Accommodation - Smardan takes special requests – add in the next step! Please note check in after 22:00 is only possible at a surcharge. Please inform Grand Central Accommodation - Smardan of your expected arrival time in advance. You can use the Special Requests box when booking, or contact the property directly using the contact details in your confirmation. It was very noisy until 4am. The building was sketchy and very dirty and old. We found a cockroach in one of the kitchen closets. The bathroom had a weird smell. The building was one of the worst properties I have ever seen. Especially the entrance was like of an abandoned building (check out the photos). Location - staying in the middle of Old Town surrouded by night clubs it's hard to sleep, even with earplugs, especially during the weekend. Building - staircase was always open, so homeless people could walk in any time to sleep on the srairs. Bathroom - smell from sewer is a little bit anoying, when you take shower, because of to short shower curtain, it's easy to create flood in the hall (looking at the dors and jamb, I was not the first one). Check in - even though I was sending my location after arrival for host to be prepared, I had to wait 15 minutes. There was no toilet paper nor towels prepared (host brought it all later, but still) Cleanliness - could be better, I killed some sort of cockroach in the kitchenette, found used and dirty sippers in the drawer. At first glance everytnig was nice, but could be better cleaned. Especially bathroom. Awful smell from bathroom Dirty floor in the room..toilet seat dirty .. There was no towel at all or at least a hair dryer. So could not shower after a very long trip... Also could not sleep at all because of noice..terrible noice from bars and terraces till 4 am.. I did not like the wait to receive the keys, I did not say anything about the wifi and the quality of the hotel was not worth that price. Cockroaches! In the bathroom and then as I woke up on the last morning one ran across my bed! Also the building is a bit of shock, doesn't look very nice outside the room. Central location and room looks decent enough. Terrible noise at night. Common street noise can be blocked easy by the good windows. But big night disco in front of the building makes too much sound creates unexpected "effect of presence" at night. Cockroaches! We were really pissed off! Location, - the metro station is nearby. Difficult to collect keys. The entrance is covered in graffiti, both outside, and just inside the foyer. Keys were delivered by an actual child, with the return policy to leave them under the mat. The bathroom smelled like it had plumbing issues. Good thing both me and my girlfriend had a strong stomach. The towels were also very clean, minus all of the stains on them. Woke up to use toilet at around 2 AM and met the original tenant: a single cockroach in the shower. Unfortunately, it seemed he did not inform the host of a party since he invited about 20 more friends. They managed to find their way into the bathroom, kitchenette, and our luggage. Humor aside, if I had to pick one thing that I absolutely hated, it would be the insect problem. They were all over the bathroom and inside the cupboards. There was a decent amount of cockroach feces in the same cupboard as the cups, indicating that this was not a recent infestation. We tried to get in touch with the host and got no response. We contacted Booking.com directly and then promptly packed our belongings (after checking thoroughly for bugs) and changed accommodation. At least the weather was nice for a 3:30AM walk.